Don’t settle for anything less than full compensation for your injuries and damages. Get the most from your claim by working with a Taylorsville personal injury lawyer. Whether your injury will heal in time or will result in a lifelong disability, if someone was at fault for causing the accident that hurt you, you might have grounds to seek compensation through a personal injury claim. Getting a successful resolution that covers all of your damages is rarely easy, however, as everything from insurance companies to legal proceedings can get in the way. Instead of trying to go it alone, a Taylorsville personal injury lawyer from Craig Swapp & Associates could be exactly what you need to get the compensation you need with as little headache and hassle as possible. As Long as Someone Else Was at Fault . . .
It’s not always easy to know if you have grounds for a case. While there are a few situations that won’t qualify for a personal injury claim, the general rule is that if someone else was responsible and it can be proven, you can file for damages to compensate your losses. Utah observes comparative negligence, which means that you can recover compensation minus the portion of fault that you are responsible for. This means that if you own 10 percent of the fault, your compensation will then be reduced by that same percentage. Additionally, you will be barred from filing a claim if you are 51 percent or more responsible. This all makes it absolutely critical that you work with a Taylorsville personal injury lawyer who can build a case that mitigates your level of fault, so that you can collect as much compensation as possible for your medical bills, lost income, pain and suffering , and other damages. What Counts as a Catastrophic Injury Situation? Your Taylorsville personal injury lawyer will have experience handling a wide variety of case types. No matter the circumstances, we’ll know how to conduct a full investigation that collects all of the available evidence. Whether you suffered a brain or spine injury, broken bone, severe burn, or even an amputation, we’ll know how to properly assess your medical needs so that all of your losses—current and future—are factored into your claim. 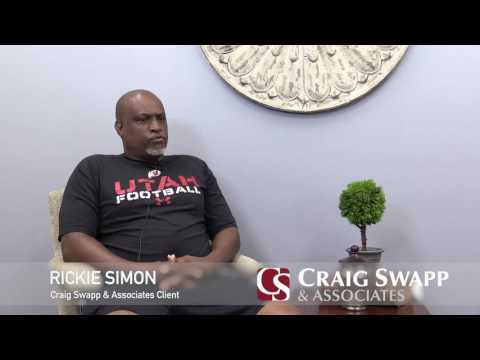 Get the help you need with your catastrophic injury claim by working with Craig Swapp & Associates. We’ve helped people hurt in accidents all across Utah get the compensation they need to get their life back on track and recover from their injuries. To find out how we can help you with your case, simply give us a call at 1-800-404-9000 or complete the online form below. Contact us today to schedule your free consultation with a Taylorsville personal injury lawyer.